Swivel Faucet Adapter with Solid Brass. Faucet to garden hose connection. 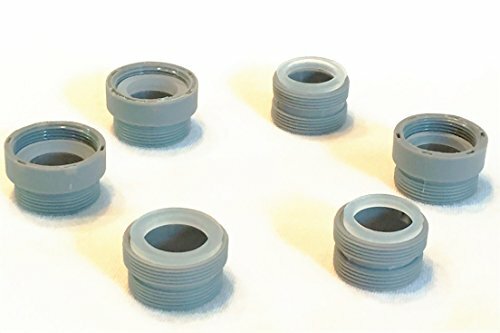 Converts standard male (15/16-Inch x 27 thread) or female (55/64-Inch x 27 thread) aerator to 3/4-Inch male garden hose thread or 55/64-Inch x 27 male thread. 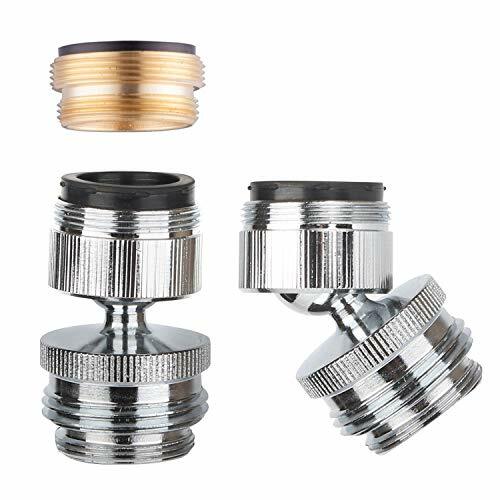 Another adapter is male(15/16-Inch x 27 thread) to male(55/64-Inch x 27 thread) faucet convertion. (additional adapter). It converts faucet from female thread to male thread. 2 steps installation: 1 step: unscrew your original faucet aerator ; 2 step :screw the new one, done in seconds. 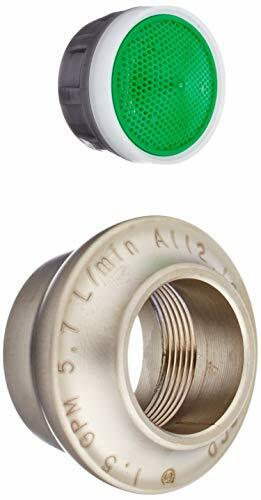 Fits 99% standard round taps with M22 external thread and internal thread M24. 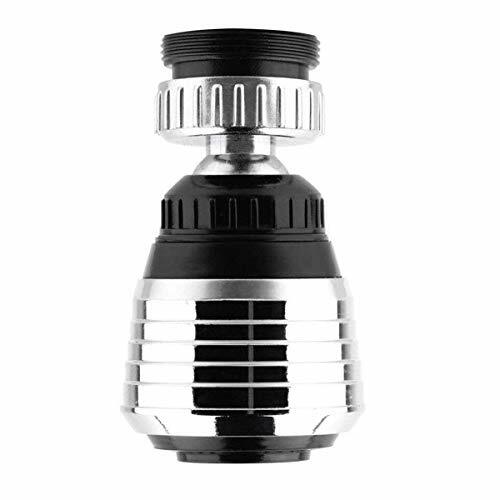 2 Position Head: By pulling the chrome plated head, the gentle aerator spray becomes a powerful jet. To clean: Simply remove the strainer and rinse it off under the water. Contains filter: Water bubbler contains filter, can be at ease use. If there is any problem, please feel free to email us via Amazon, we will help you within 12 hours. 2 Water Flow Design --- 100% anti leakage,pull up is soft bubble stream and pull down to convert strong spray with 360-Degree Swivel. It is slightly tight when pull down to convert strong spray at the first time use,so we suggest you pull down one time before installing. Guarantee --- 30 days money back. Suitable for 99% kitchen or bathroom taps. IF IT CANNOT FIT YOUR FAUCET OR HAVE ANY PROBLEMS PLEASE SEND US EMAIL, WE WILL 100% REFUND YOU DONT NEED TO SEND BACK FOR SAVING YOUR COURIER FEES SO PLEASE SEND US EMAIL FIRST . **** Please read below what these adapters WILL NOT fit. 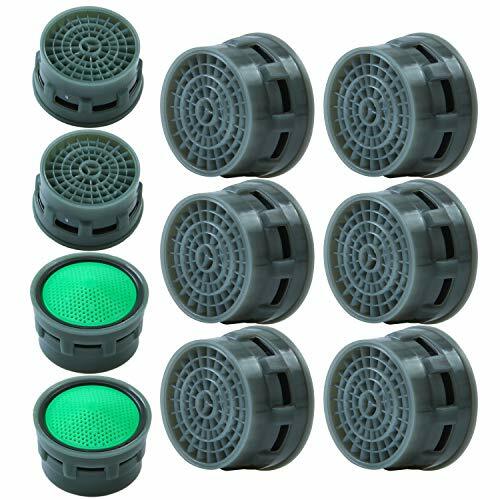 SmarterFresh Seven Piece Faucet Adapter Kit includes the 7 most common faucet adapters. 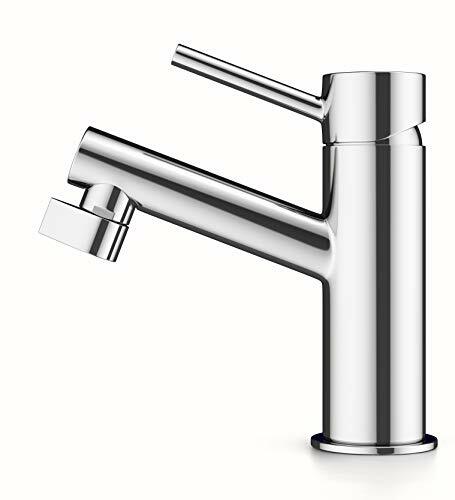 Keep in mind, however, aerator threads on faucets are not uniform even among faucets of the same brand. All of the major brands manufacture faucets that our adapters are compatible with and faucets that they are NOT compatible with. We did our best to include adapters that fit over 95% of faucets that have removable aerators. If none of our adapters fit your faucet, take your faucet aerator (and the component you want to attach to faucet) to an ACE Hardware store. You'll be able to find out the thread size of your aerator on the thread size chart found in the faucet aerator parts department. Included Adapters: Standard Cache Adapter (SCAQ1) Junior Cache Adapter (JCAN2) Tiny Junior Cache Adapter (TJCAD3) Tom Thumb Cache Adapter (TTCAD4) Male Junior Adapter (MJA5) Female Junior Adapter (FJA6) Garden Hose Adapter (GHA7). Each adapter comes with a custom fit washer and adapts to thread size Male 55/64 - 27T. Adapters meant for Bathroom Sink Faucet Use Only. They will not fit a faucet without a removable aerator. Will also not fit a bathtub spout, shower pipe, or pump style faucet. Some portable dishwashers or washing machines have been known to fit but check with manufacturer first. Cache style faucets will require key to remove aerator from faucet. This comes free from faucet manufacturer with faucet purchase. 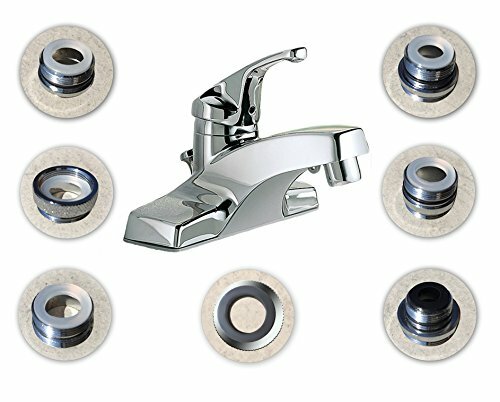 Great kit for travel if you're connecting and reconnecting attachments to your faucet. Don't travel around to 4 stores, try to explain what you're looking for to the person working in the plumbing department, pay 3 times the amount and end up frustrated. You'll find the right size within our 7-piece adapter set. 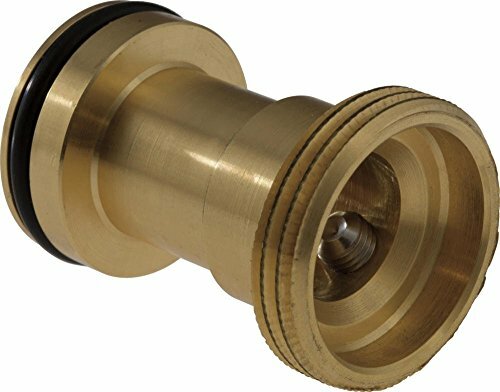 7 MOST COMMON SIZE Brass Faucet Adapters -- Male 15/16"-27T, Male 55/64"-27T, Male 3/4"-27T, Male 3/8"-18T, Female 3/4"-27T, Male 13/16"-27T, Male 15/16"-27T or Female 55/64"-27T X GHTM 3/4" or Male 55/64"-27T. 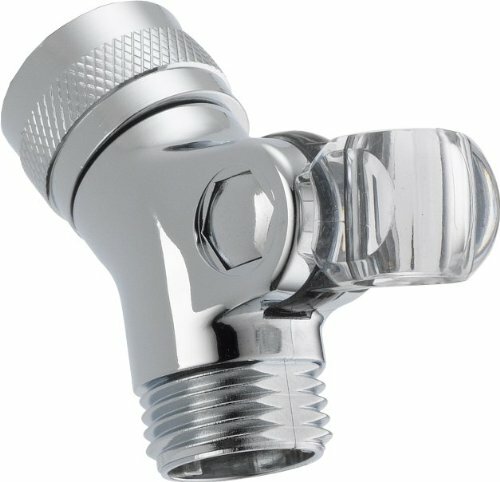 Connects Female Garden Hose to Male or Female faucet. 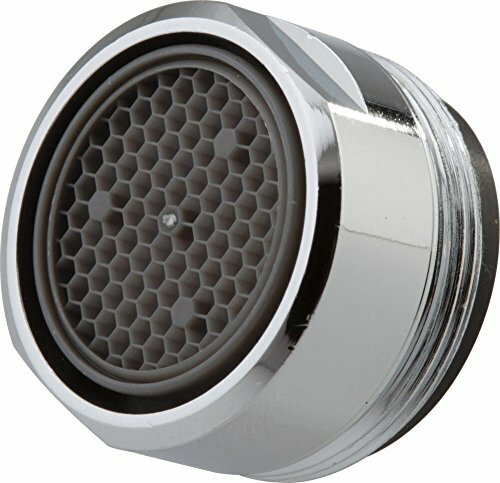 Also connects Male or Female aerator to Male or Female faucet. 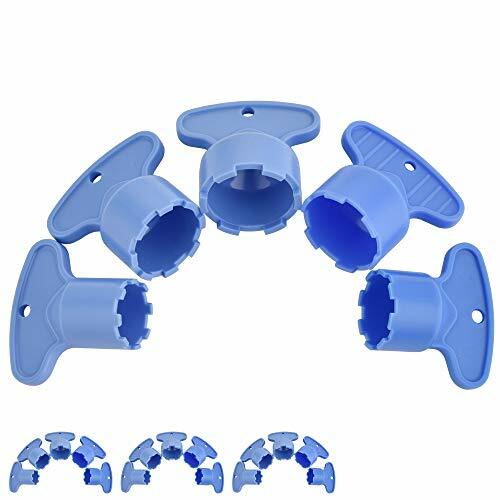 NO PLASTIC or RUBBER AT ALL -- Includes Many Sizes so You Can Find the Right One, Will Fit When None of Other Brands Do, Useful and Easily Compatible and Includes Custom Fit Washers. Threads on Adapters Won't Wear Off, Leak, Pop Off, Strip or Rust. 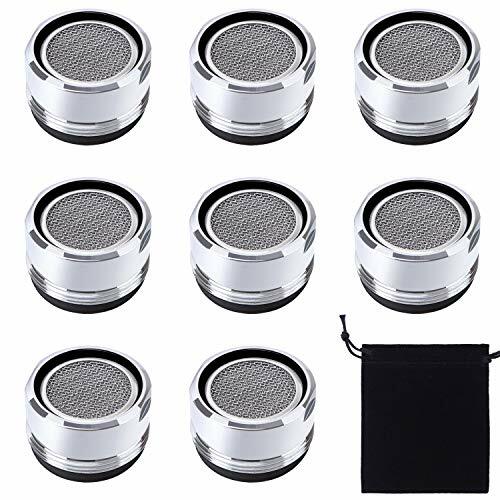 "DETAILS FOR FAUCET AREATOR Aerator key Material : Brand new ABS Package Includes M16.5 Aerator key x 4 M18.5 Aerator key x 4 M21.5 Aerator key x 4 M22.5 Aerator key x 4 M24 Aerator key x 4 PLEASE READ Before clicking ""Add to Cart"" be sure that it says ""Sold by JQK Products"". JQK Products offers an exclusive manufacturer warranty of one year. Note: This warranty is exclusive to sales made through JQK Products and purchases made through unauthorized sellers would not fall under that manufacturer warranty. If you are not completely satisfied, contact us immediately to rectify the issue. We know you'll love them, but if you don't, send them back for a full refund of your purchase. " ABS aerator key helping remove MOST cache faucet aerator, Please Measure before buying. 5 sizes key M16.5X4,M18.5X4,M21.5X4,M22.5X4,M24X4, 20 keys in all. get your flow back replace or clean the blocked aeraors, fix low flow faucets. 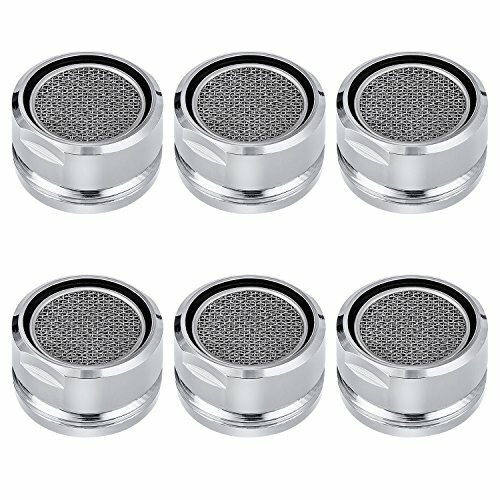 6PCS faucet aerators, it made of brass, ABS and 304 stainless steel, anti-bacterial and anti-corrosion. Recommended to use for kitchen or bathroom taps with high water pressure. 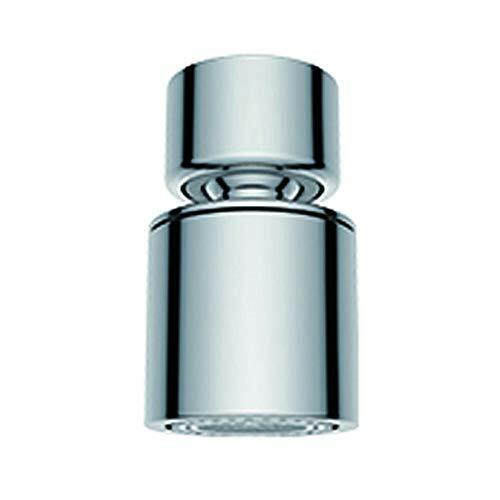 Faucet aerator smooths & aerates the water to produce a smooth flow. Save energy.Water saving 30%~70% (compared with standard bubbler). The best swivel sprayer you can buy for you kitchen, bathroom or RV faucet. Health,easy to clean.Water bubbler contains filter,can be at ease use. Provided by LLRHFlagship Star Mall, please ensure genuine purchase! Size : Approx.62mm/2.44inch(L)x36mm/1.41inch(bottom dia. )x21.5mm/0.85inch(top inner dia.) mm adapter outer dia. :21.5mm /0.85inch. 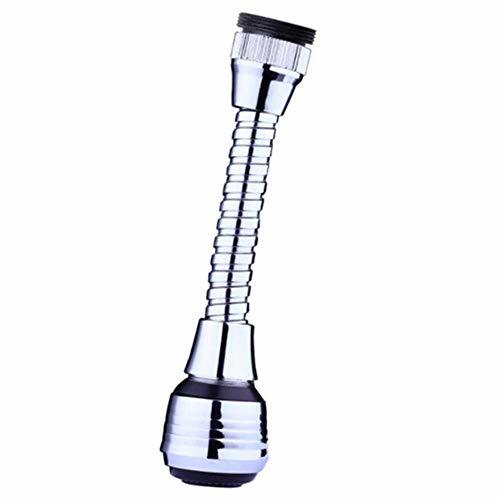 2 Position Head - by pulling and pressing the chrome plated head, the gentle aerator spray becomes a powerful jet. Increase the water pressure: Prevent water flowed,and the air is mixed with water is good,the water feels soft,enhanced water momentum,cleaning more convenient. This is an O.E.M. Authorized part or this is an authorized aftermarket product. Fits with various Delta models. Oem part RP52217. Make your faucet more eco-friendly with this Altered:Nozzle attachment. It lets you run 98 percent less water through the tap without impacting functionality, and you can switch to a higher output as needed. Pays for itself in a couple of months Experience mist and save tons of water and energy. 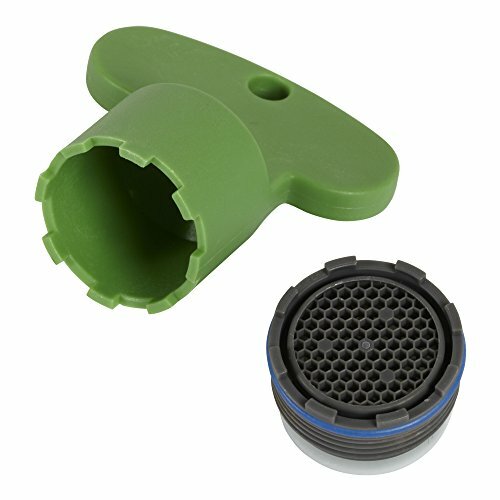 Super easy installation Simply unscrew your existing aerator and insert the Altered:Nozzle. Fits Standard, Junior and Tom Thumb sized taps. Mist Mode - Savings 98% of water Perfect for washing hands, brushing teeth washing dishes and greens. Save Mode - Savings 85% of water If you need more for filling a glass, pots or pans, just switch to Save Mode. Replacement swivel connector for hand showers. Installs quickly and easily to any hand shower. Allows for custom positioning of the hand shower. Requires pin mounting system. White finish, plastic construction. After all, the bath is our "haven" for a few minutes of personal time, relaxation and just a bit of pampering. The air gap completely covers clamping collar and prevents the buildup of dirt. The body is made of polypropylene. Brass air gap completely covers clamping collar. 7/8 outlet to disposal or sink. 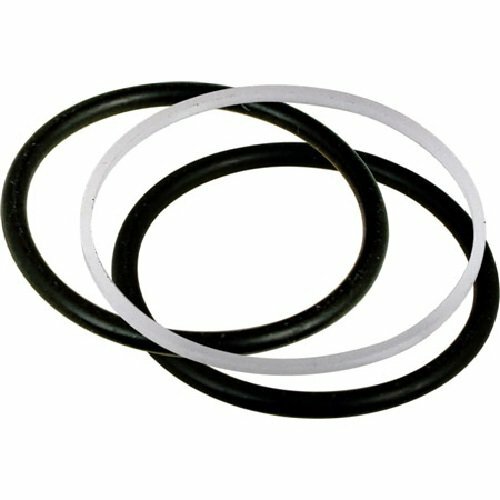 M960994-0070A Features: -Products are designed to marry style and function with innovative solutions. Application: -Bathroom/Kitchen. Product Type: -Repair part. Finish: -Black, White. Dimensions: Overall Product Weight: -0.1 lbs. VCGREE-Make your life simple. 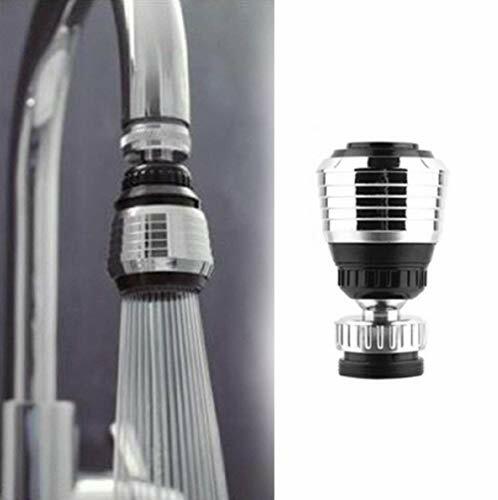 Type: Faucet Aerator Color: Silver and Black Finish: Polished Chrome Material: Brass & ABS plastic Include: Faucet Aerator, Sealing washer Product Features 1:Simply twist the aerator to get the 2 water flow 2:360-Degree Twist and Easy Control 3:Water saving 10%~40% (compared with standard bubbler) Includes extra swivel action for complete sink area coverage, makes cleaning up quick and easy. Provides wider, more forceful spray that makes rinsing quick and easy, or aerated stream that reduces splash. provides more sink coverage. Dual threads. Lead free. Easy Installation: 1:Unscrew your original faucet aerator 2:Screw the new one, done in seconds Warranty: We have 190 days warranty. If it's broken, please give us a picture. We wil send you a new one Contact Us Any problem,feel free to contact us,we get ready to help ! 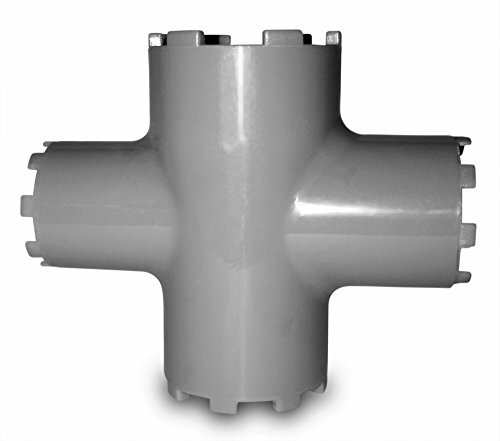 Removable water restrictor,Support two ways to effluent Provides wider, more forceful spray. Great for low water pressure,Soothing water does not hurt the hand. Fits standard inside and outside threaded faucets, 360 degree unconstrained jet. Increase the water pressure: Prevent water flowed, and the air is mixed with water is good, the water feels soft, enhanced water momentum, cleaning more convenient. Water Saving --- Adjusted from stream to spray with a valve design, can save 30%~70% water. Energy saving and environmental protection. Three Gear Adjustable --- Design with a water output regulation button, you can adjust the amount of water according to your demand, not just one choice. 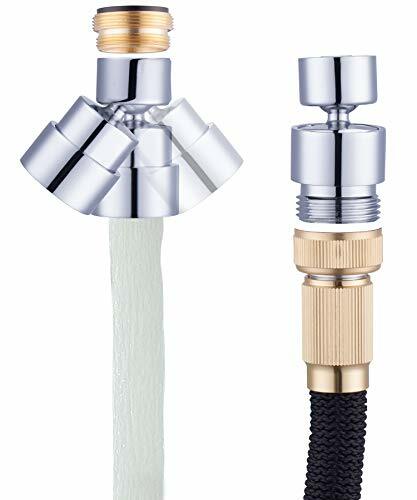 Durable & Low Maintenance --- The Kitchen Tap Head is made of high quality PP and PVC material, and the connection is made of stainless steel, strong and wear-resistant. 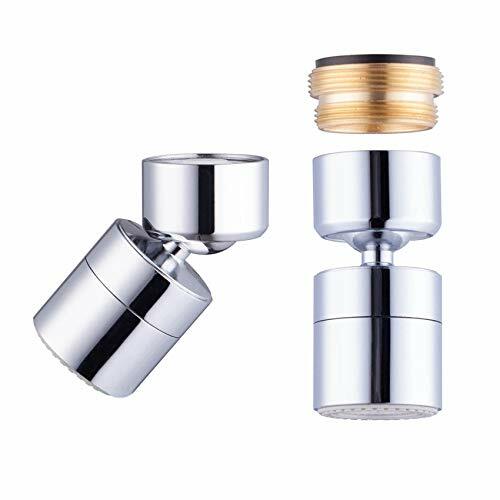 Wide Use --- Faucet Aerator can be fitted to kitchen faucet, sink faucet, bathroom faucet and toilet faucet, and use plenty of water public places. Easy To Install --- No tools are needed, just make sure your faucet fits the product's dimensions and is ready for use. Need to remove a hidden cache aerator and can't find the removal tool that came with the faucet? Don't worry, our aerator removal tools can help! Good Helper: Need to remove a hidden Cache aerator, but you can't find the right tool? Now, this aerator removal tool can help you! Please check with your faucet tap size and thread before you place the order. Following the picture guidance above. Can be fitted to Kitchen Sink Faucets, Bathroom Taps and Lavatory Faucets Spout Head. The flow rate of 1.8GPM ,Water saving aerator. Simply twist the faucet aerator to match your desired task. 2.Turn on the aerator in clockwise direction. tools you can get to screw the adapter. 1. 55/64 Inch-27UNS Female Thread Aerator. 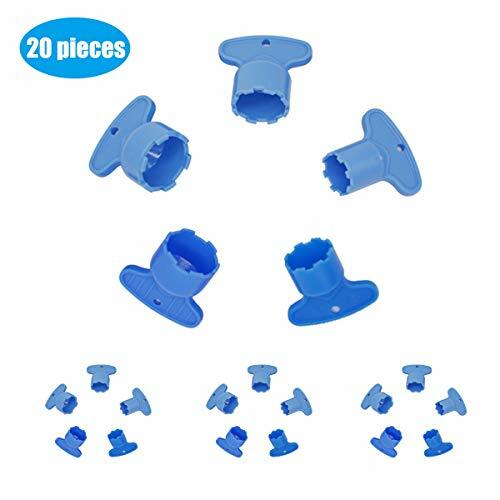 If your faucet is male thread, directly connect it.If your faucet features female thread, please install the adapter firstly (female to male adapter included) . 2. 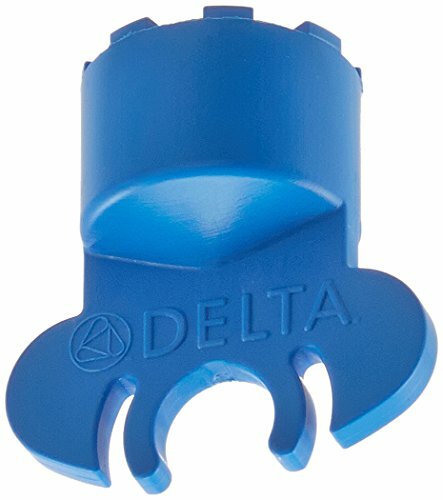 With 3/4-inch thread adapter to connect the garden hose thread of male to female. 3. Solid Brass Made, 360-Degree Twist and Rotate Swiveling with Big Angle. 4. Simple Installation. Directly installed by hand without tools,done in seconds. 5. Fit Most of the Sink Faucet. But Not fit all, So please check the faucet size first before placing order. 3 water-saving mode - tap spray attachment three-speed Switching Mode Water Level Freely Positioning, you can adjust the amount of water according to your demand. 360 degree rotation - 45 tilt angle 360 degrees rotation wide range sink cleaning ,Water can easily covers the whole sink.cleaning more convenient. 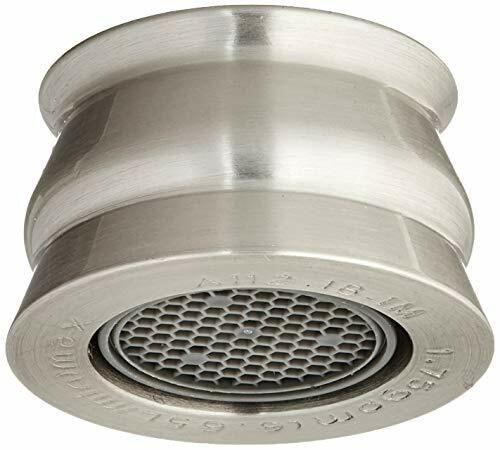 Easy Install - Threaded port design, simple screw-in mounting.Faucet Aerator Can be fitted to kitchen Faucet, Sink Faucet, Bathroom Faucet and Toilet Faucet,And use plenty of water public places,Easy to install and easy to maintain.